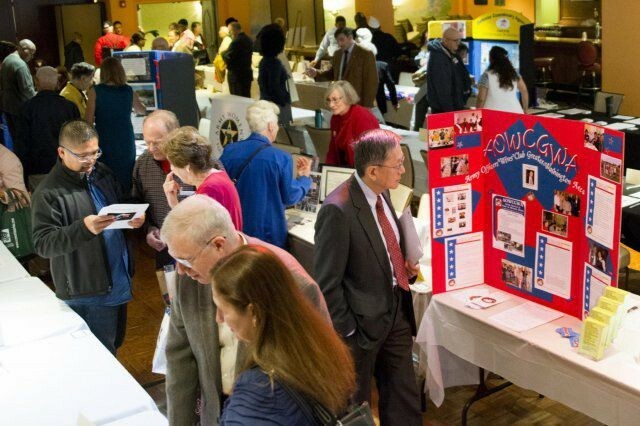 Retirees from all branches of the military are welcome to participate in the Retiree Council's Retiree Appreciation Day Oct. 3 from 8 a.m. to 3 p.m. in the Joint Base Myer-Henderson Hall Community Center. "The Retiree Council each year gets together, and they put together a day where we have vendors that come in, and they offer information, they brief, they give out giveaways, and give out information to the retirees," said Retirement Services Officer Linda Hocking. Hawkins stated that the all-day event will start with the morning session. After members register at the community center, vendors will be set up to give information to retirees. Some of the vendors include Radar Clinic, who will be giving out flu shots and perform blood pressure screenings, a mobile ID card station, and other from places such as the commissary and PX. Also happening in the morning as part of Retiree Appreciation Day, the Legal Assistance Center will be holding appointments for retirees to come in for legal advice about things such as wills and powers of attorney. However, to receive this service, the Legal Assistance Center asks for retirees to call and set up an appointment for that day by calling the front desk at (703) 696-0761. After retirees have a chance to mingle among the vendors for a few hours in the morning, buses will take individuals to Arlington National Cemetery and the dining facility for lunch. "Some of the members of the retiree council lay the wreath at the (Tomb of the Unknown), and they come back, and that is when the vendors break down," Hocking said. After lunch, the afternoon will be a gathering of speakers which will include a legal panel, a speaker talking about some of the changes to Tricare, and a keynote speaker. This year's speaker is Sandra Troxell, wife of Command Sgt. Maj. John Wayne Troxell, senior enlisted advisor to the chairman of the Joint Chiefs of Staff. Troxell is excited to be a part of the day, and to share her experience as an Army spouse over the past 35 years. "I am going to talk about what I've done as an Army spouse and just my background of where I've come from ... what I learned, what I shared, and how volunteering has made a huge impact on my life," she said. Hocking and Troxell said the day is special because it is the one day every year that the community gathers together in order to show retirees their gratitude, and help them with what they need. "We just care about that one day every year to show appreciation, to honor them for their service, the sacrifice they made, the sacrifice their Family members made," Hocking said. "It is the one time of the year where we get the opportunity to thank each and every one of our retirees, and it is a small way, but it just shows them how much they are appreciated," Troxell said. "These programs help to bring them up to speed that they've fallen behind whether it is medical, dental, getting their shots updated, and just welcoming them and thanking them for what they've done in the past. I think it is really well-deserved and really well anticipated, so I love it."